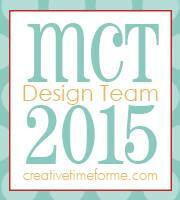 It's Day 2 of My Creative Time's 40th Release Sneak Peeks!! How cute are these kitties!! You're going to love the little accessories for the kitties in this set, notice the collars!! LOVE your sweet card. Love the great ball of yarn the kitties are playing with. Thanks for sharing. This card is adorable! Kitties and yarn ball are a purrrfect combo. Super adorable! Love the yarn/string! WOW this card is super cute!! I love the ball of yarn, how clever!!! I love the kitties and their ball of yarn they are mischieviously playing with! How cute! TFS Linda adnilttoh@gmail.com There is so much you could do with these little guys! What a adorable card!! Love the ball of yarn for the kitties! thanks for sharing. I am totally in love with this card! The the playfulness of it with the "yarn"! OMG...OMG...WOW Girl you've done it to the max created an awesome unbelievably awesome card WOW Your total idea so rocks....I'm in awe of what you did!! You really did come up with outstanding clever and creative ways to use today Sneak Peek along with Miss Emma's other goodies WOW your yarn ball is one AMAZING idea....WOW!! Oh and yes love the paper you used too super great find!! This is just darling! I love your clever yarn ball! Super adorable card. Darling! Great idea, the way you made the ball of yarn using the circle die and twine. It's perfect! So adorable, Brigit! I love what you did with the twine, and the coloring of your kitties is perfect!!! 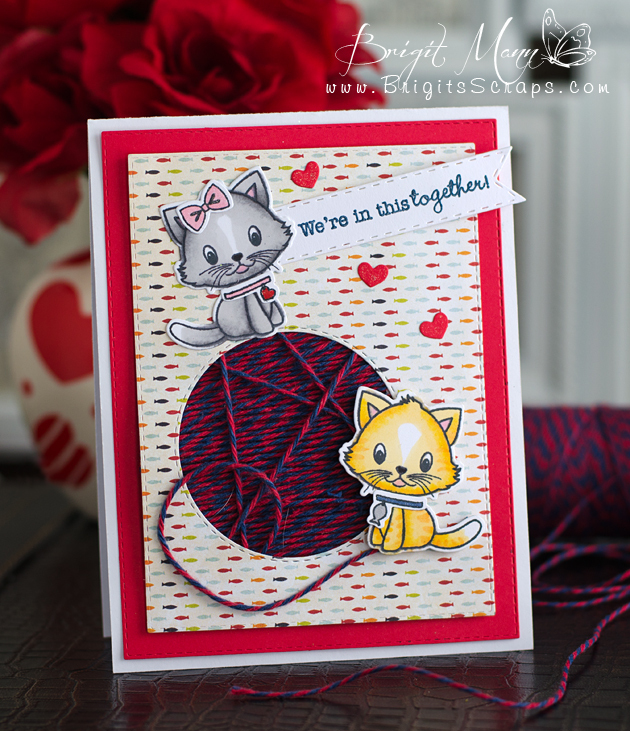 Your card pairs two fun items - kitties and yarn. Darling card. Great card. Love the way you did the yarn ball! Very creative. So so cute!!! Sure do love the adorable little kitties!!! This is adorable. I love the dimension (with the yarn below the surface). This is a great card! What an adorable concept!! Love how you used the twine to make a ball of yarn for your sweet kitties to play with! WOW, your card is absolutely adorable, love the ball of yarn, what a great idea. Love it. Brigit, super cute idea with the twine. I liked. Thanks for share. Wow, super cute, love the kittens and the ball of yarn, how adorable! Very clever idea with the twine and I love how you made a stripe ginger. The way you shaded and colored your kitties is purr-fect. Fabulous job! Love the twine ball for the kitty cats. That ball of yarn is freakin awesome! 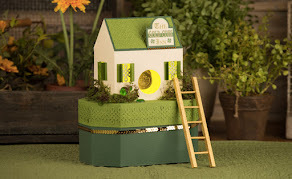 How cute--love how you created the ball of yarn/twine. 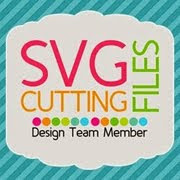 Super fun design and so creative! I just love this set and the kitty's are SO darn cute! Fabulous card! I LOVE the ball of yarn with the twin. So fun! beautiful! Adorable card! Love the cute paper and the addition of the twine... very clever! love how you colored those sweet kitties too! Very cool card design! I'm lovin' these kitties. I just love the new Kitty stamp and die set. What a neat idea for the ball of yarn! This is so super ADORABLE!!! I just LOVE those CUTE kitties!!! You colored them perfect and the twine....AWESOME!!! This is so super duper cute! So clever with the yarn! You rock! Brigit ~ simply DARLING! From the way you colors the kitties to the papers and oh my the yarn ball ~ so CLEVER!! Totally ADORABLE!! Totally need to steal this idea too! WOW! I am in love with the way you made that ball of yarn! The perfect way to use that Trendy Twine! 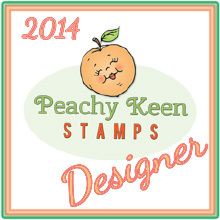 I am so excited about these stamps and dies as well as your amazing projects! Sharing the love !! !